Frazier, bestselling author of Cold Mountain, Thirteen Moons, Nightwoods, and Varina, will provide financial support through the Frazier family’s Cold Mountain Fund at the Community Foundation of Western North Carolina. Frazier also will assist in book promotion and make occasional appearances with the Cold Mountain Fund Series authors. 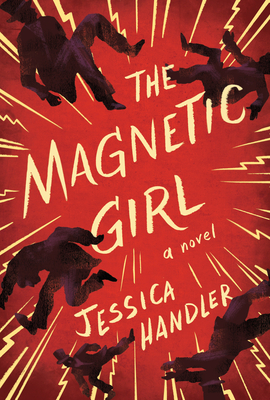 The first three books in the series will be The Magnetic Girl by Jessica Handler of Atlanta (April 2019), Watershed by Mark Barr of Little Rock (October 2019), and The Prettiest Star by Carter Sickels of Lexington, KY (April 2020). Hub City Press titles are distributed by Publishers Group West. Among its published authors are Leesa Cross-Smith, Ron Rash, Michel Stone, Julia Franks, Ashley Jones and others. Hub City annually sponsors the $10,000 C. Michael Curtis Short Story Book Prize (judged this year by Lauren Groff), the biennial New Southern Voices Poetry Prize, and the biennial South Carolina Novel Prize. This was written by charles. Posted on Friday, January 18, 2019, at 9:17 am. Filed under Uncategorized. Tagged Ashley Jones, carter sickels, charles frazier, cold mountain, hub city press, jessica handler, Julia Franks, lauren groff, Leesa Cross-Smith, mark barr, Meg Reid, Michel Stone, Ron Rash. Bookmark the permalink. Follow comments here with the RSS feed. Both comments and trackbacks are currently closed.